Stand UP Baku Comedy in Nizami Cinema buy tickets online. Delivery of tickets for the event Stand UP Baku Comedy. 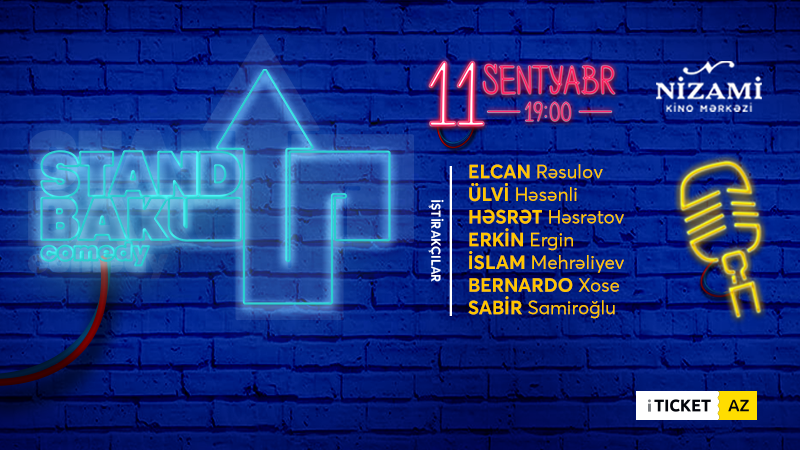 If you want to escape daily problems and to be in a good mood, "Stand Up Baku Comedy" residents will be waiting for you at 19:00 on the 11th of September 2018, at Nizami Film Centre. Let's laugh together!